Cruise ship Nautica spent today in the Tyne, while her 669 passengers set off to explore some of the North East’s finest tourist attractions. More than 650 of the guests are from north America and the remainder are from Australia, New Zealand, and South America. They are on a 10-nignt round-Britain cruise which left Southampton on Sunday. They will be in Edinburgh tomorrow, and will visit Glasgow, Liverpool, Dublin, Cobh and Plymouth, before returning to Southampton on June 17. 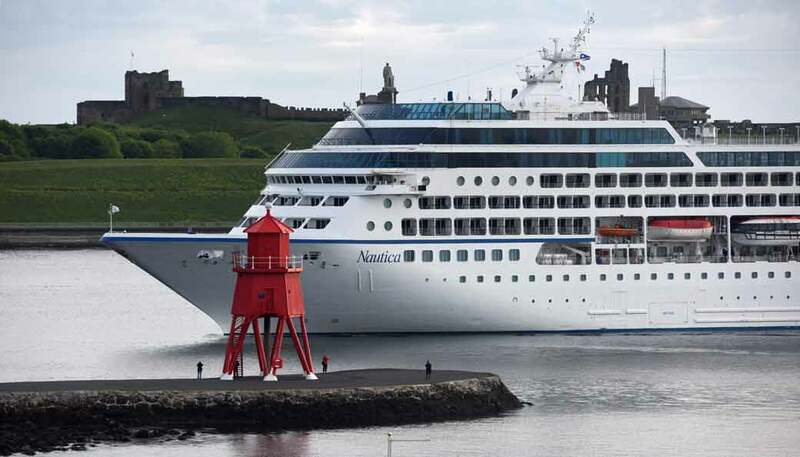 The ship, operated by Oceania Cruises, arrived shortly after 6.00 am for her maiden visit to Newcastle and is scheduled to depart at 10.00pm – giving plenty of time for the passengers to visit Hadrian’s Wall, Beamish open-air museum, Alnwick Castle, Lindisfarne, and Durham Cathedral. Some were also planning to visit Washington, home of the ancestors of the United States’ first president. The Port of Tyne has 27 cruise ships visiting the in 2015, and 2016 is already set to welcome more cruise ships to the region – on turnarounds and transit visits which together add an estimated £55m to the regional economy.